← Palm Trees. Carved and Gilded Lime Wood. Private Client. I was commissioned to carve a coat of arms for the Theatre Royal in Bath. 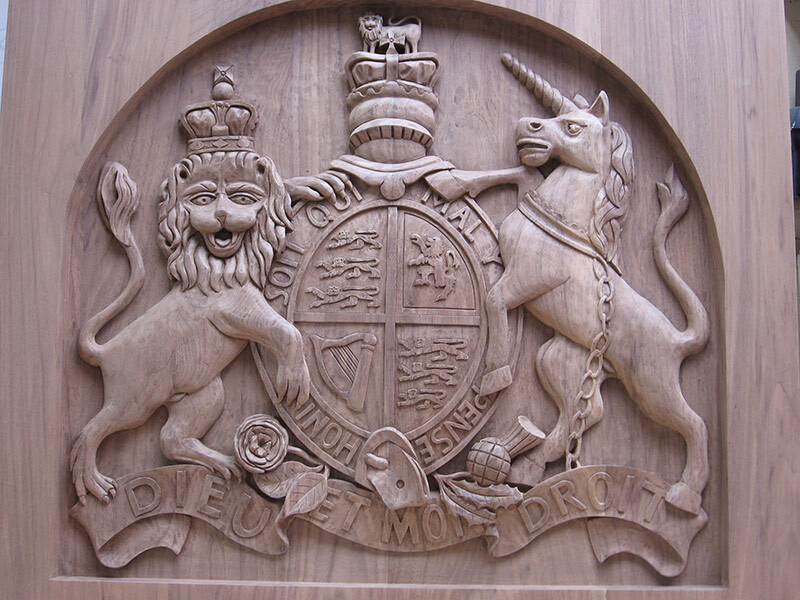 It was undergoing a major refurbishment and they wanted to have the carving inset within the panelling in the foyer. The piece was carved out of large sections of walnut and then the background was dropped back so the carving would be inset and framed by the surrounding wood.